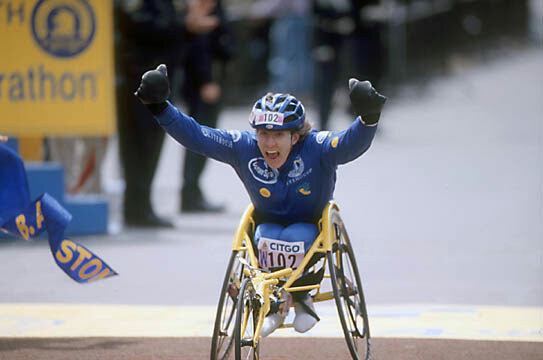 As a wheelchair racer, Jean Driscoll has won the women's wheelchair division of the Boston Marathon eight times, more than any other female athlete in any division. Her wins in Boston included seven consecutive first place finishes from 1990 to 1996. Driscoll participated in four Summer Paralympic Games, winning a total of five gold, three silver, and four bronze medals in events ranging from 200 meters to the marathon. Jean retired from her successful racing career following the 2000 Paralympic Games in Sydney, Australia. For over 20 years, she has offered encouragement and motivation as a speaker to hundreds of thousands of people worldwide.